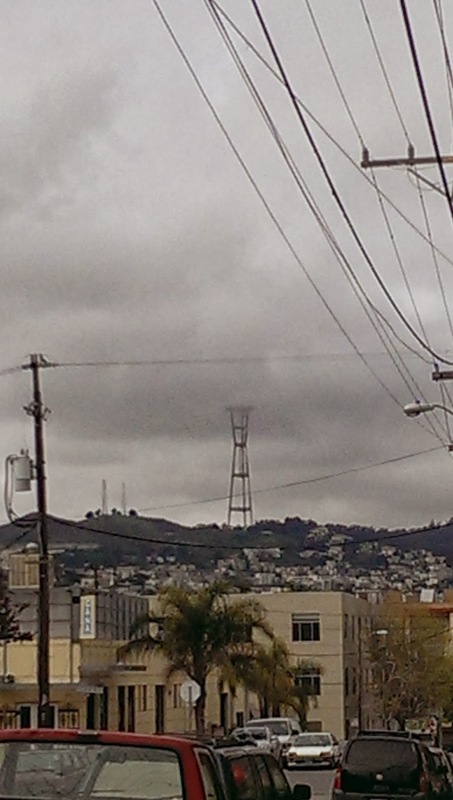 I just love me some Sutro Tower. A great perk from my "new" job (nearly six months!) is seeing the tower every morning at break. 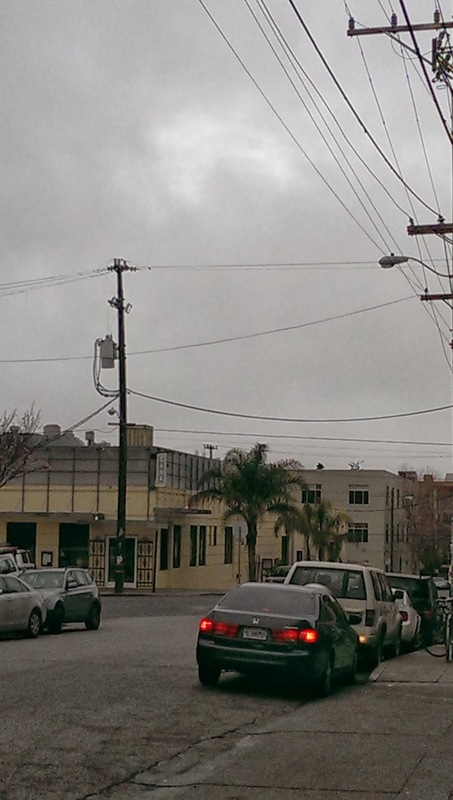 I walk past the Potrero Division Muni building and down the street to Coffee Bar, all the while gazing at the magesty. 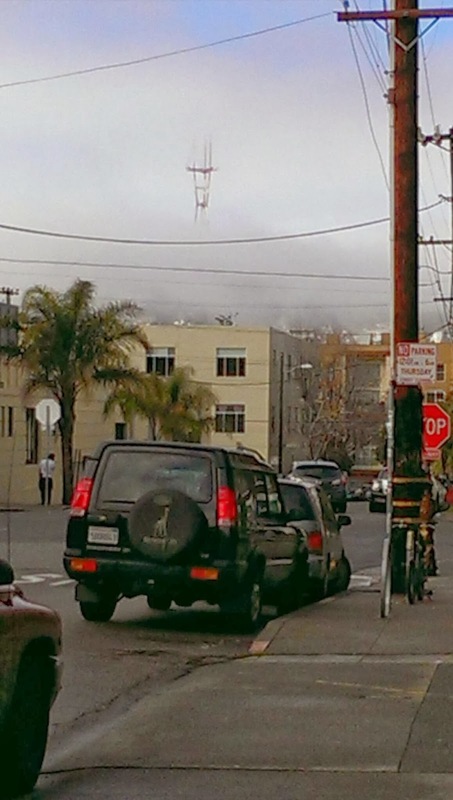 I heart Sutro Tower too. Keegan and I call it 'Our Great Overlord' because you can see it from just about anywhere in the city and it sort of looks like Sauron's Tower. It's just so...blinky. And steadfast. It means good things to me.